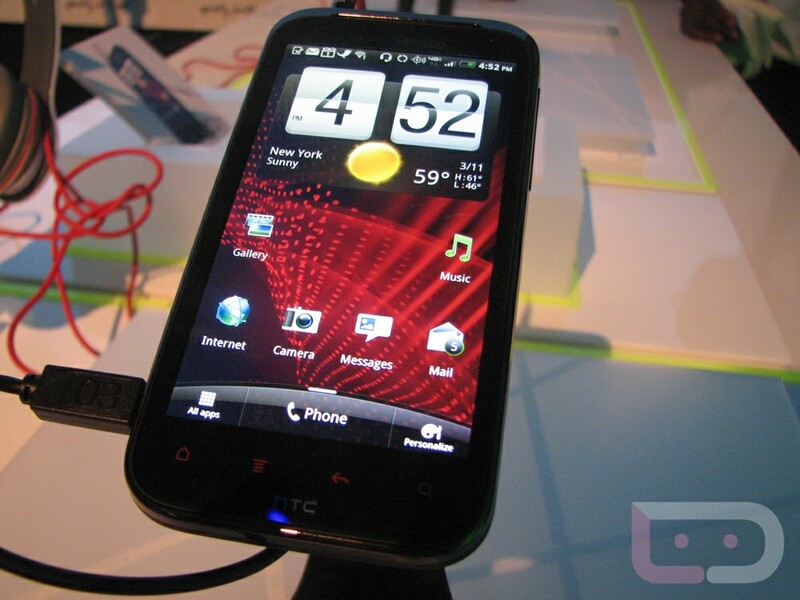 HTC and Verizon made the Rezound official just moments ago, and we had a chance to go hands-on with it for a few minutes. The big beautiful 4.3″ HD screen (Super LCD according to the official specs) is the star along with those sharp red accents and Beats by Dre logos. It matches up closely to the thickness of the DROIDX, if not slightly thicker, but isn’t thick by any means. Tough to tell what the battery life will be like with the 1620mAh battery and if the built-in Beats audio enhancements will live up to the buzz – so far though, this looks like another great addition to the Verizon 4G LTE family.